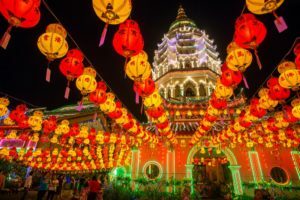 In recent years, the Southeast Asian nation of Malaysia has become a popular destination for US expatriates and citizens seeking work abroad. Fueled primarily by electronics, technology, and manufacturing, Malaysia boasts one of most competitive economies in Asia, with experts projecting that it will become the 21st-largest economy in the world by 2050. While this surging financial growth has made Malaysia an appealing location for Americans from all industries and walks of life, it has also invited scrutiny from the watchful eye of the Internal Revenue Service. Expats and citizens abroad in Malaysia are required to submit various documents, and critically, any failure to comply with such regulations may result in the imposition of substantial civil penalties. Depending on the nature of the violation, the individual could even face criminal charges. If you recently relocated or expatriated to Malaysia from the US, or are planning on moving in the future, a careful review of your tax records can help to ensure that you do not risk facing such penalties. If you are at risk of an audit or investigation, taking immediate action is the best way to preserve your opportunities to disclose information with minimum negative impact. To learn more about your financial options in a free and private consultation, call CPA Ted Kleinman of US Tax Help at (541) 923-0903 today. Ted has over 30 years of experience handling complex international tax matters on behalf of expatriates and residents abroad in Malaysia. Who Must File an FBAR, and What Are the Penalties for Failure to Do So? Over the past decade, the IRS has gradually increased the scrutiny paid to holders of bank accounts and other financial accounts in Malaysia and other foreign countries. 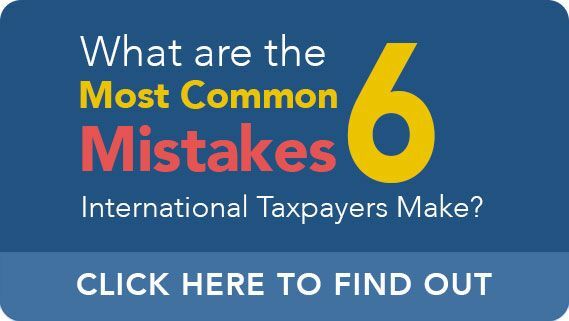 While the requirement to file an FBAR (Report of Foreign Bank and Financial Accounts) was designed to target offshore tax evasion, its extremely broad criteria have had the unfortunate effect of endangering numerous people who use bank accounts in foreign countries for legitimate, everyday purposes. IRS regulations state that “the penalty should not be imposed if the violation was due to reasonable cause, and the person files any delinquent FBARs and properly reports the previously unreported account.” However, because the IRS’ definition of “reasonable cause” is fairly nebulous, taxpayers are urged to seek assistance from an experienced CPA while participating in any interviews or negotiations with the IRS. As these penalties make amply clear, willful violations are more serious than non-willful violations. Willfulness is determined by a single criteria: “whether there was a voluntary, intentional violation of a known legal duty.” Furthermore, IRS regulations state that “in [an] FBAR situation, the person only need know that a reporting requirement exists. If a person has that knowledge, the only intent needed to constitute a willful violation of the requirement is a conscious choice not to file the FBAR.” That being said, any allegations of willful misconduct must be supported by evidence, with the burden of proof falling upon the IRS. What is the IRS Streamlined Procedure? Which Taxpayers Are Eligible to Participate? The IRS recently implemented a program called the Streamlined Procedure. While the program has gone through several incarnations, its core principle – reduced penalties in exchange for the voluntary disclosure of financial information, hence the program’s name – has remained unchanged. 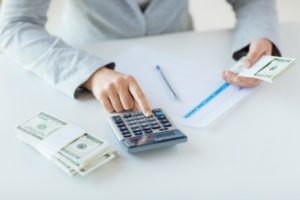 While the Streamlined Procedure does not completely eliminate penalties for noncompliance with reporting requirements – for instance, participants may still be penalized for failures to file Form 3520, Form 5471, Form 5472, Form 8865, and Form 926 – it does provide major incentives for taxpayers to come forward on a voluntary basis, the most significant of which is arguably that Streamlined Procedure participation dramatically lowers the risk of prosecution and incarceration. However, taxpayers should also be advised of an extremely important caveat: if you are already under investigation by the IRS, you are no longer eligible to participate. Therefore, if you believe you could benefit from the Streamlined Offshore Program, it is absolutely critical that you start exploring your options with a CPA as soon as possible. If you wait for too long, you may deprive yourself of the opportunity to participate, at which point you will be left with few options for mitigating the tremendous penalties you face. If you are or plan on becoming a US expat in Malaysia, call US Tax Help at (541) 923-0903 to schedule a free, completely confidential tax consultation with CPA Ted Kleinman today.